These last few weeks a day has not gone by without some mention of the iPhone 5. September 21st is the magic day for existing and prospective iPhone owners. Although there is no standard for mobile phones in the watch industry, the iPhone is very prevalent among Rolex owners. There is a good chance that a Rolex owner also owns an iPhone. In short, where there are watches there’s iPhones. 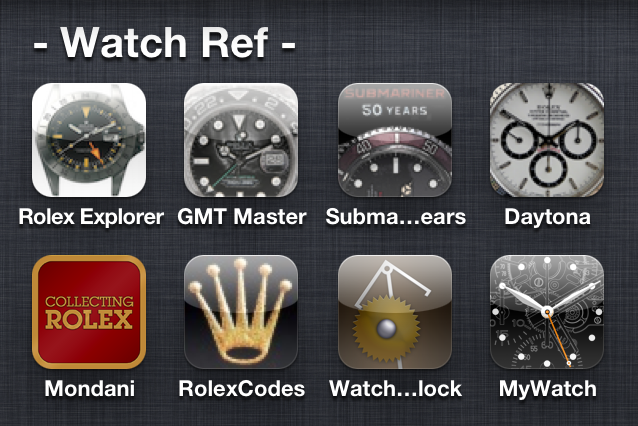 Along with the plethora of iPhones in the Rolex world there’re also Rolex related apps for iPhones as well. 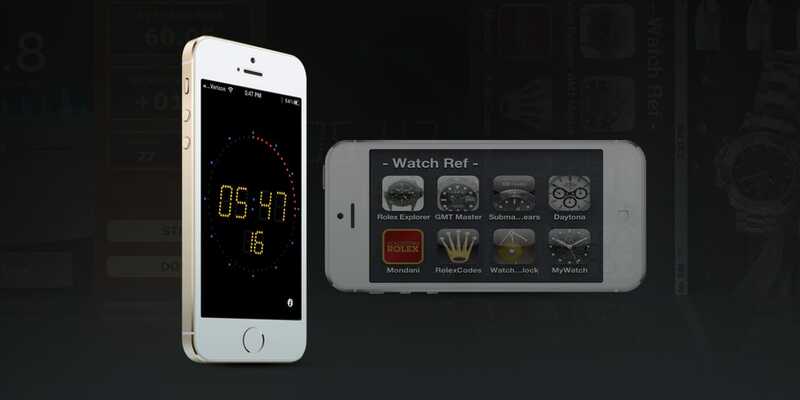 Let’s go through some of the more prominent iPhone apps for Rolex and for watches in general. Kello is an innovative app that measures wristwatch accuracy. Written by a computer programmer who is also a watchmaker Kello utilizes Apple iPhone’s earbud and microphone. Similar to a fine Swiss watch timer, Kello listens to the speed and amplitude of a mechanical watches hairspring. Although not as accurate as a Witschi timing machine, Kello is a great tool to have when watch shopping to check the accuracy of the watches in the case. Clock master is very similar to Kello as a timing machine. Clock Master utilizes the same iPhone headset and microphone for clock timing, but it has calibration, target, BPH, regulation, and export functions that Kello does not have. Designed to time clocks, it does have watch timing functionality. Atomic clock is a great app to pull hours, minutes, seconds from atomic NTP servers from around the globe. 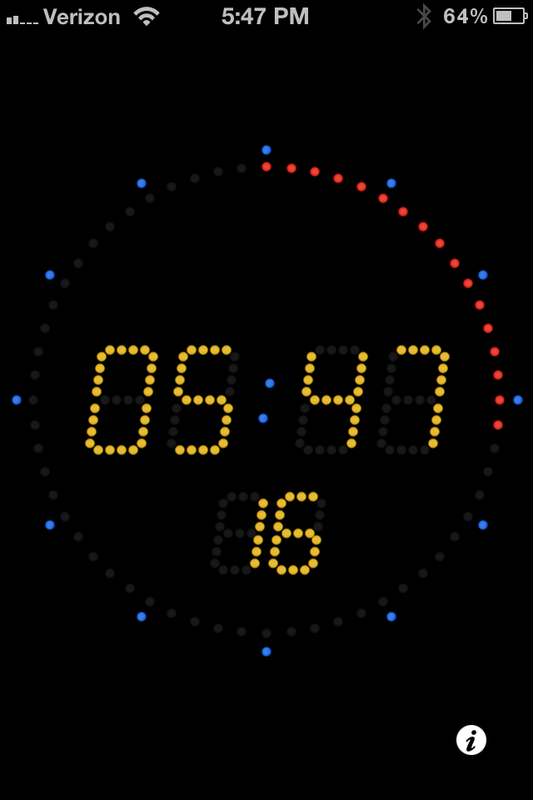 Using a visual display, Atomic Clock pulls time from multiple NTP servers simultaneously such to set your watch to the most accurate time. Serial Number / Date of Production reference: simply find your serial number on the sliding scale to find the year of production. This is absolutely necessary when determining if your dial has the correct configuration. Bracelet Codes: Rolex bracelets have reference numbers and clasp codes. You can determine the approximate age from the clasp code and the bracelet reference number must be correct for your watch head. Be sure of this by using the Bracelet Code reference. Country Codes: reference the numbers on your paperwork to determine the original Country of origin. Model Reference: each corresponding model with the reference number. These are just a few Apple iOS apps available. Other iOS will be reviewed here soon.